Your most important beauty booster is not actually your makeup skills; it is the light, in which you apply your makeup. Indoor lighting can make it difficult to perfectly blend the contours, to select the hue closest to your skin color and to have a flawless finish. You need a perfect light that gives you a sun-kissed glow. You need a light source that resembles the color spectrum of natural light. You need a lighting system that offers the best brilliance and brightens your face evenly, just like the light from the sun. 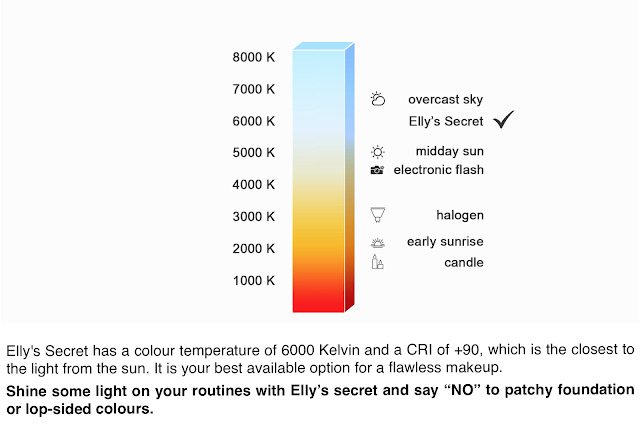 Now, Elly’s Secret gives you all you need. It’s the closest light to the sun’s natural brightness. It provides the users with a diffused and ambient light so that there are no shadows highlighted on the face. It is the best available option for a flawless makeup. It gives users the ability to avoid patchy uneven foundation and mismatched color. Elly’s Secret is now exclusively available on Kickstarter, and backers can expect a variety of rewards on a first-come-first-serve basis. 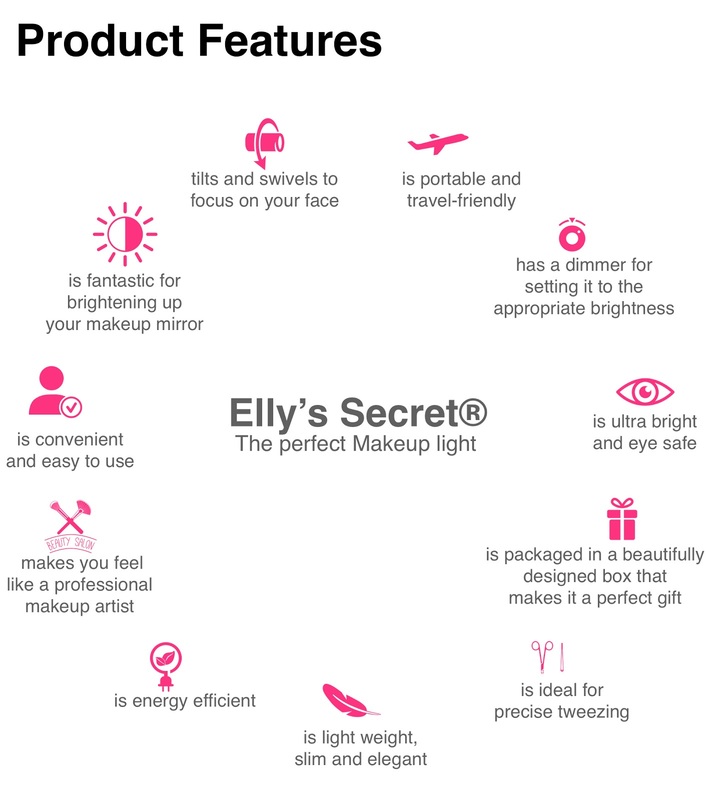 The early birds can receive Elly with a pledge of 17 dollars (a 22-dollar discount from the anticipated retail price) and many more pledges; including customized product with your name engraved on it, for yourself or as a present for your loved ones.